Achieving academic success is no simple task, however for Seneca High School valedictorian, Michael A. Miller, it seems to come easily. Describing his work ethic as “pretty casual,” he admits that once he knows what must be done, he then works it into his schedule around other assignments, sports and fun activities. During his high school career, Miller enjoyed his time spent in calculus class and, as a lover of cooking, in his foods classes. He admits the four years of high school go by very fast, and recommends all incoming freshmen be open to any opportunities given to them so they will grow and experience these years to the fullest. Despite his high school career coming to a close, Miller has big plans ahead of him. 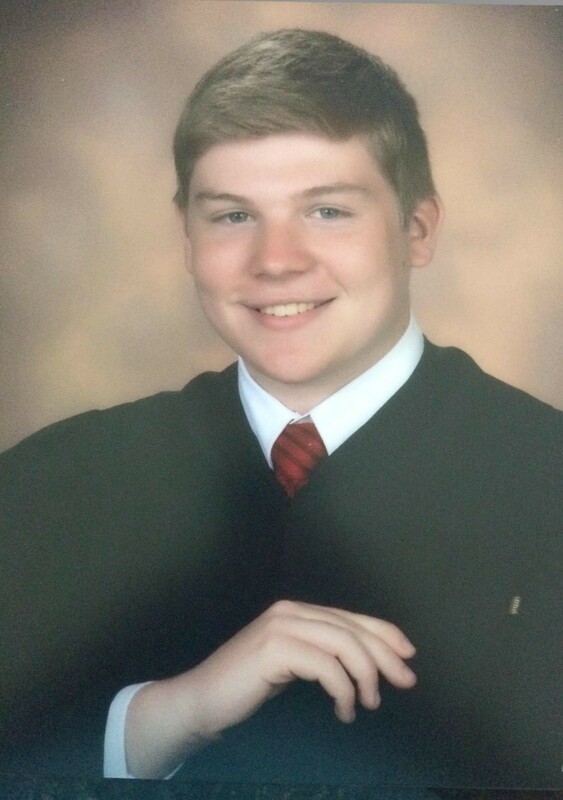 He intends on obtaining his bachelor’s degree in computer science from the College of Engineering with a minor in business at Villanova University, where he will be studying this coming fall. Someday he hopes to use this education to work in cyber security, ultimately helping to make the world a safer place while simplifying life. Although he pointed out the school eventually frowned upon his selling of candy, this experience helped him look toward possibilities for the future. Also pushing him to success was the “Who is smarter?” competition he constantly had with his sister. “I am proud of myself for being able to obtain the grades needed to become valedictorian. The Seneca Class of 2016 has a lot of very qualified individuals, and we pushed each other to be our best and supported each other along the way,” Miller said. This chain of support did not come without many great times and long-lasting memories. As Miller thought back on all of the memories from his four years at Seneca, he recalled the senior class trip to Disney World as topping the list. While this trip may be over, and he and his friends may be parting ways next fall, he knows that again, the Class of 2016 has a future full of possibilities.